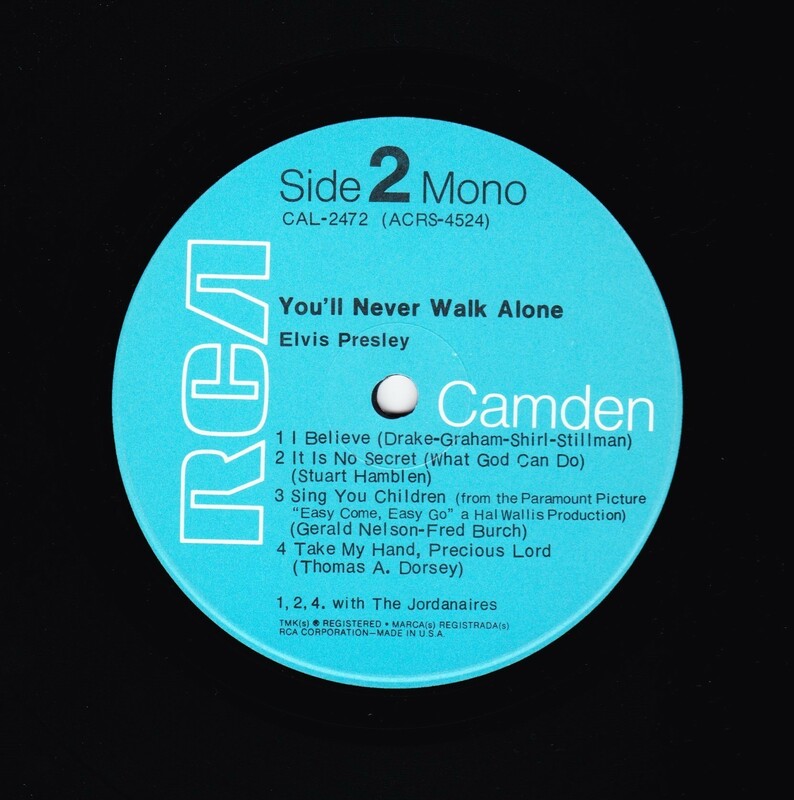 You'll Never Walk Alone is a gospel compilation album by Elvis Presley, released in 1971 on RCA Camden. 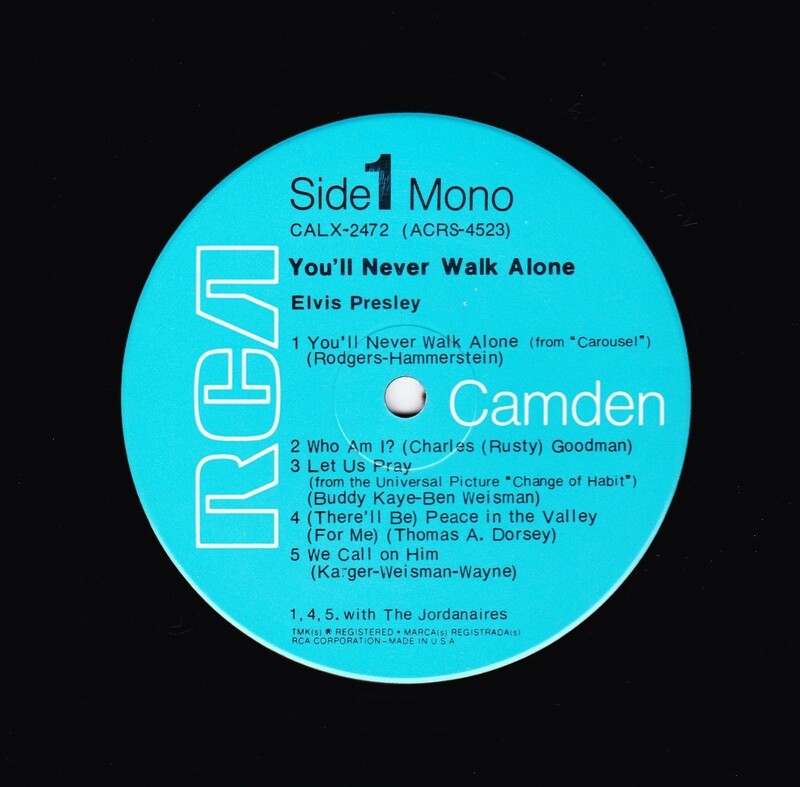 The album consisted primarily of previously released Gospel recordings by Presley dating back as far as 1957. 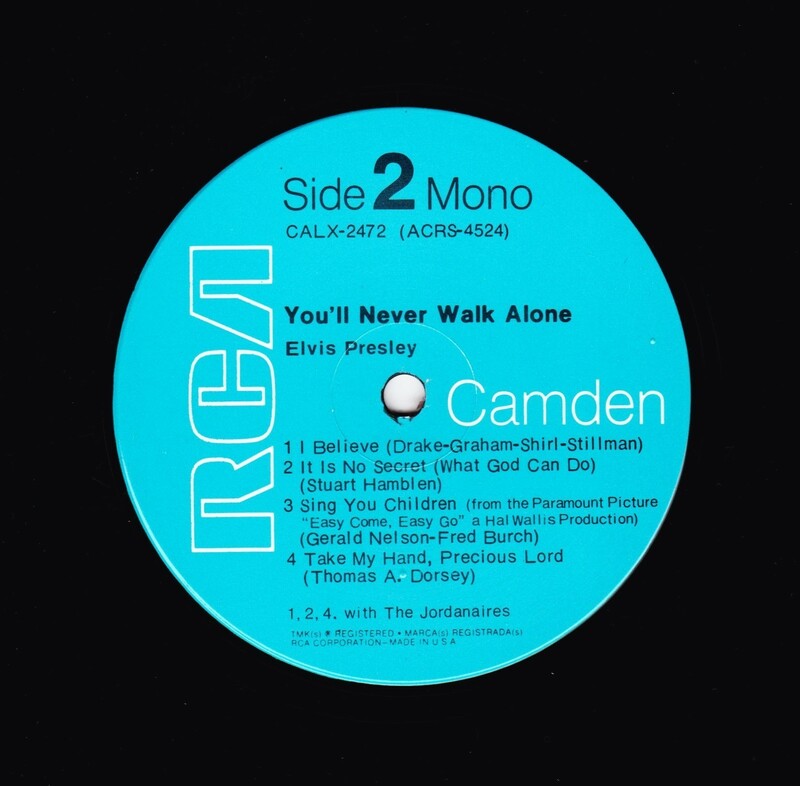 The single You'll Never Walk Alone was a minor hit for him in the late 1960s. 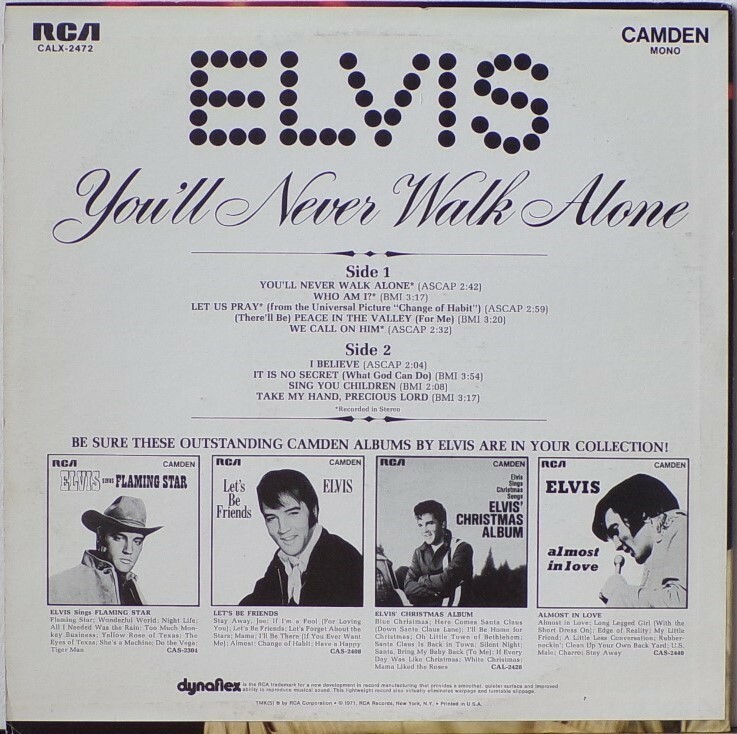 Two previously unissued recordings are included: "Let Us Pray" from the soundtrack of Presley's 1969 film, Change of Habit and "Who Am I? 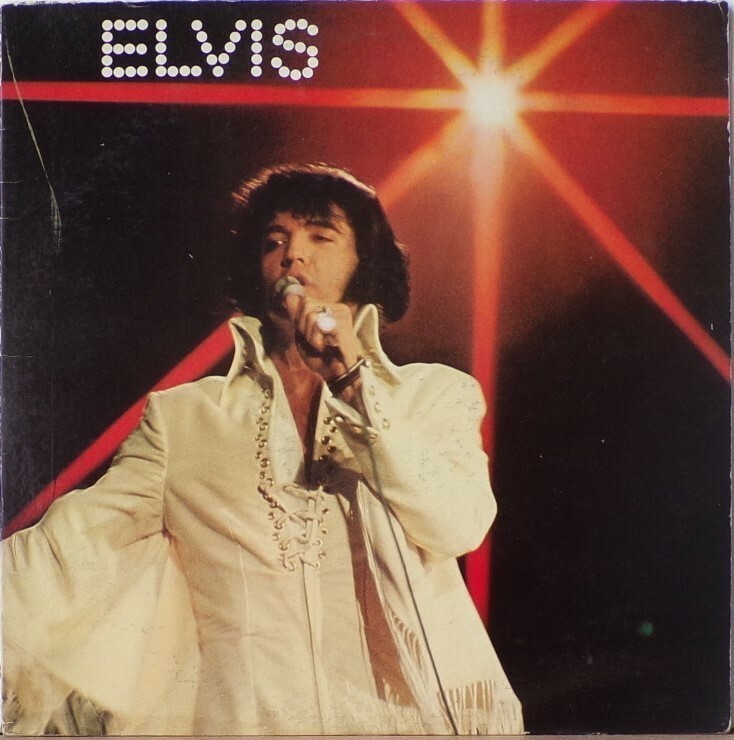 ", a leftover from the early-1969 recording sessions that produced his album From Elvis in Memphis. It was certified Gold on 3/27/1992, Platinum on 7/15/1999 and 3x Platinum on 1/6/2004 by the RIAA. Front Cover : Photo of Elvis. Name "Elvis" top left. 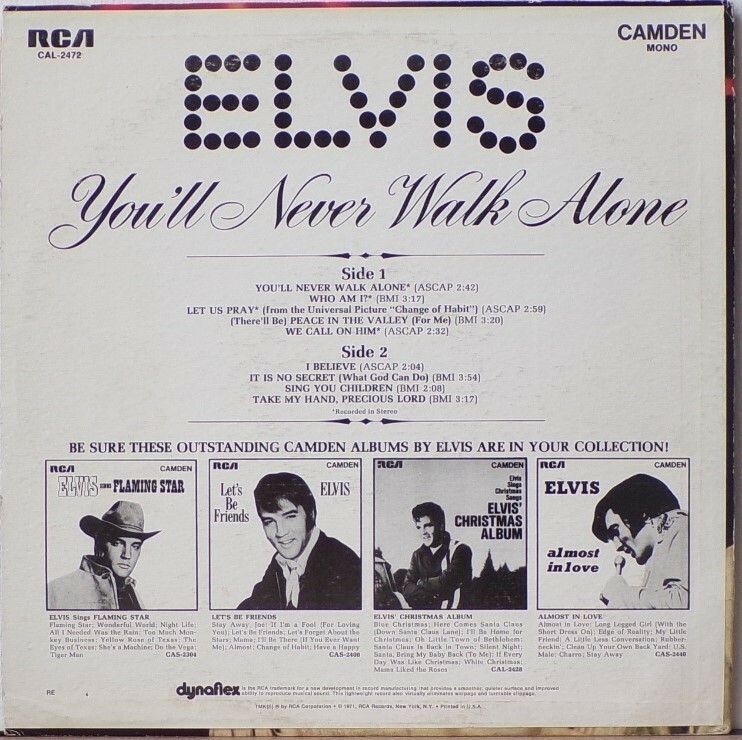 ​​Rear Cover : Advert for 4 Elvis budget albums. Catalogue number top left. Printed in U.S.A. bottom centre. Side 1 : Mono at top. Side 2 : ​Mono at top. *NOTE* Rear cover number "7" bottom right. Side 2 : Mono at top. 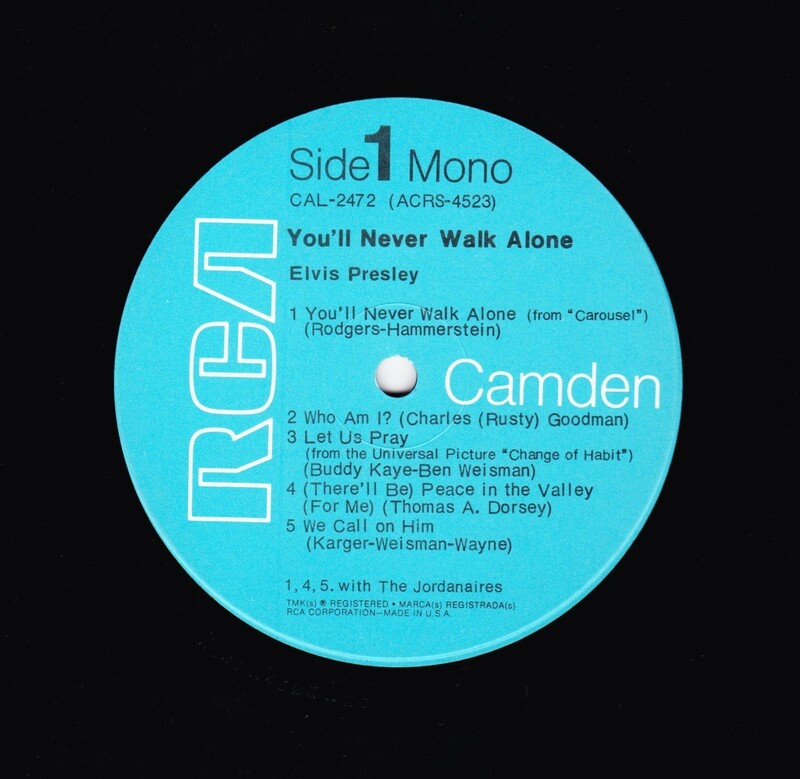 *NOTE* This is a reissue of the 1971 release. The "X" from the original catalogue number was dropped. New catalogue number is now "CAL - 2472". "RE" has now been added to the rear cover with the number "6".